If there was a common theme threading its way through my favorite films list, it might be the presence of strong, beautiful, heroic female characters. I wonder what’s drawn me to such a motif, or if the year of 2015 has simply been a banner year for females in films. Think about both the major blockbusters and the critically-acclaimed art films: The Force Awakens, Carol, Mad Max: Fury Road, Room, Brooklyn, Inside Out, The Assassin, Sicario, Ex Machina, Joy. They all feature strong female leads giving memorable performances as fully-realized characters. Plenty of films in 2015 passed the Bechdel Test with flying colors. Two-thousand and fifteen was The Year of the Female Lead Role. Personally, the past year has been one of the most difficult, painful, and transformative years in my entire life. It’s also been a character-developing year for my beloved wife. She has been the strong and beautiful female presence in our story, the heroine who kept me and our children afloat in a season of distress and suffering. In the past year, our third child was born with a significant heart defect, one which led to open heart surgery a few months later. The months of doctor appointments were filled with waiting and wondering. Those hours in the hospital as we handed off our boy to the doctors so they could repair holes were the most painful moments we have yet experienced as a couple. When your child’s life is in question, when their safety and well-being are out of your hands, well…it’s difficult, to say the least. Add my personal struggle with healing from burnout and depression, as well as a few identity crises moments and vocational revelations, and I’ve been a mess. But Katie, my wife–she’s the one who carried us. I think of the moment in Mad Max: Fury Road where Max is taking aim with a rifle at a distant enemy and misses. 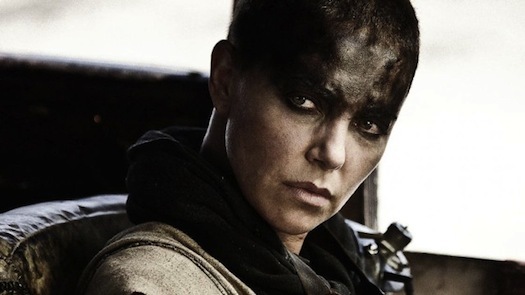 Furiosa approaches and asks for the gun, which Max reluctantly but knowingly hands over to her. She uses his shoulder as a base to steady her aim, then makes the shot he couldn’t make. That’s been my marriage this year–we’ve struggled through this as a team, but she’s been the foundation while I play the supporting role. She’s made the shots I couldn’t make on my own. So, consider this list an ode to my wife. She’s not invested much in films, but she’s certainly invested in me, in our children, and in our life together. We have a value as a family: live a great story. It’s a value that continues to prompt us to take the more difficult, risky, exciting path in life. I can’t think of anyone else I’d want to live out this story with. My wife has been the hero of our story in 2015. If there was a real-life award for Best Female in a Lead Role, my vote goes to her.